Each month I create birthday cards for my entire team at work. May there seems to be double the guys as there are girls Those cards are always harder for me to create. These are a few I came up with today. 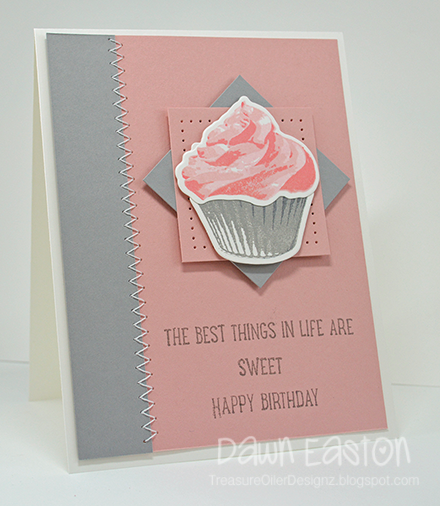 I used the Broadway Birthday stamp set. Wow it's BEEN a LONG time since I posted on here. I am going to try very hard to share on a regular basis. I re-joined SU! again for probably the third time in 15 years LOL. It's really hard to find supplies and it's expensive to ship to Canada when you buy online in the States so the SU! route was the cheapest for me. Yesterday I sat down in my craft room and created three cards for a couple of challenges. Felt great to get at it! It's a gloomy rainy morning here but the sun should be coming out a little later. A little rain is good for all my flowers and garden! I have a few cards to share with you that I've created this past week. This first one is for today's SC649. My run as a sample maker on SCS is coming to an end this month. I've thoroughly enjoyed my time on SCS and it got me out of my stamping slump. Here I've used some of the new SU! goodies from the new catty. I'm in love with this Delightful Daisy DSP. 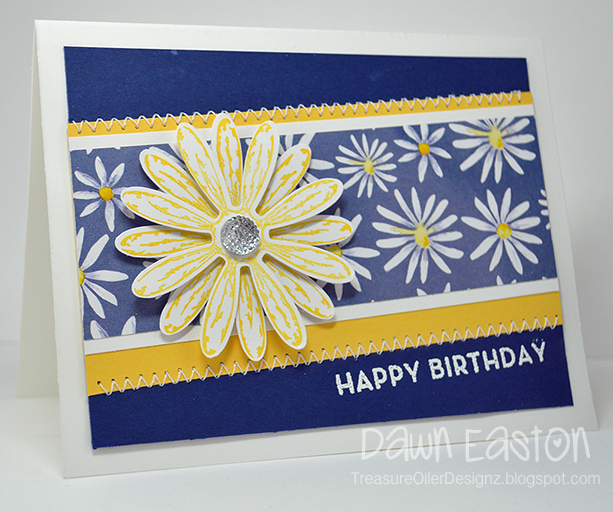 The daisy from Daisy Delight was stamped twice with Daffodil Delight and punched using a new SU! punch. Isn't that new Faceted Gem perfect for the middle of the flower?! The Happy Birthday sentiment came from the Big on Birthdays set. This next one is mostly SU! 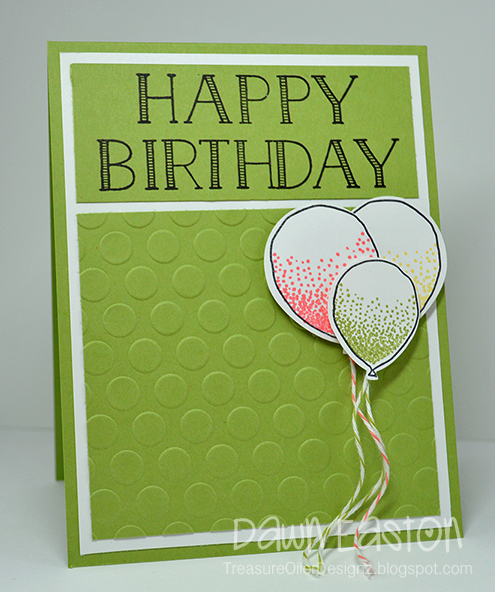 I love that spots and dots embossing folder that I picked up at a craft store years ago and can't stop using it! LOL! The layout came from last week's Freshly Made Sketch and the colours from last week's Colour Throwdown. 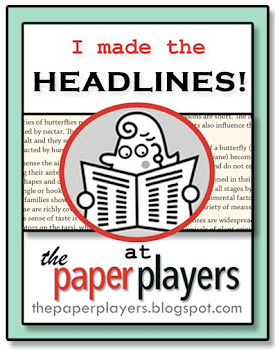 Also was the Paper Player Theme Challenge of Birthdays last week. 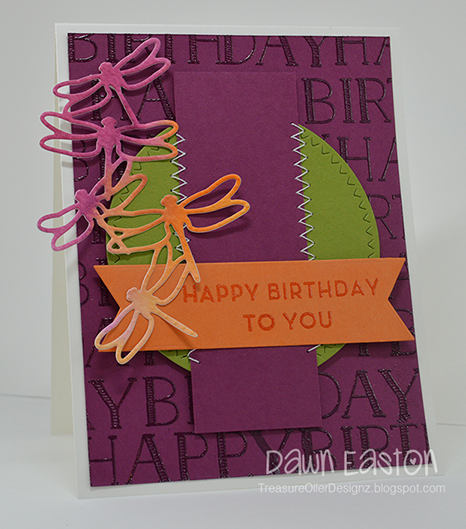 This one used the same Freshly Made Sketch but the colours were inspired by the Paper Players Challenge this week. 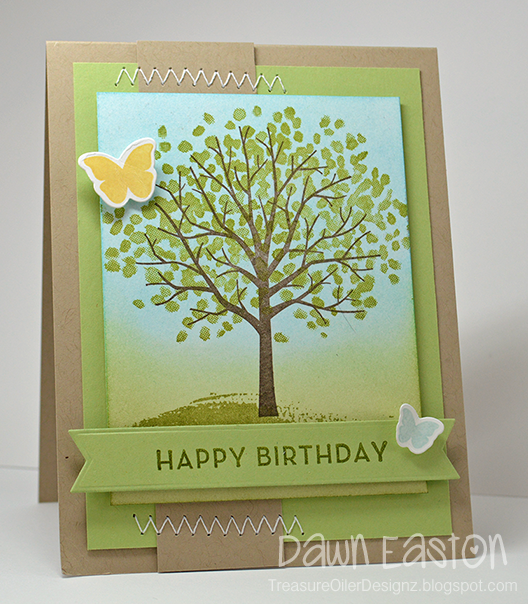 Isn't that new Lemon Lime Twist colour fun?! 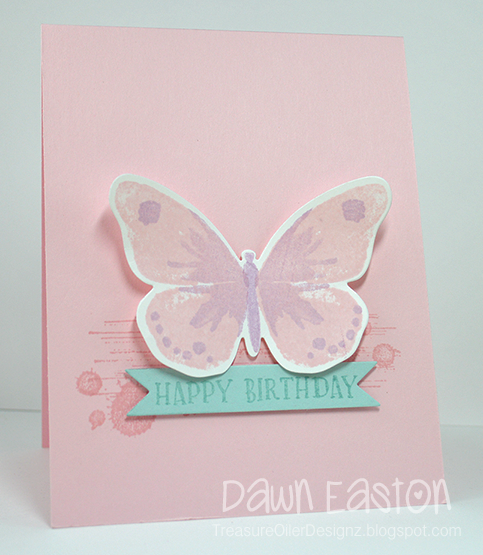 I've had some cards posted in my SCS gallery for sometime but keep forgetting to post here. Sorry! Here are a few that I've created over the last couple of weeks. This was for last week's SCS sketch. 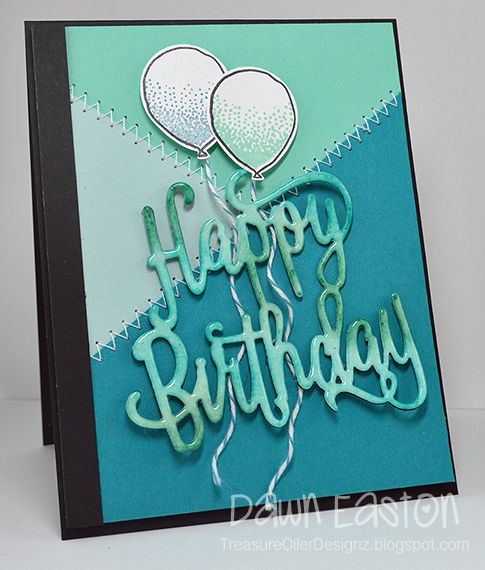 I added glassy glaze enamel to the balloons for some added pop! This is for the sketch today on SCS. This one has some shimmer using Wink of Stella. That stuff is so cool! This is a hostess set in the new SU! catty. Those little balloons are awesome! 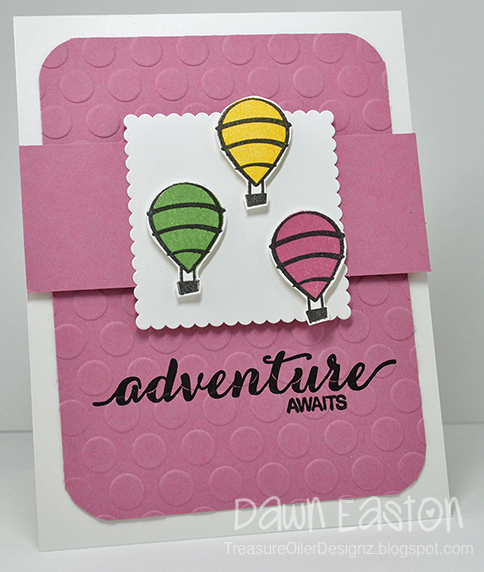 This one was created using last week's Colour Throwdown colours and the Freshly Made Sketch. I was lucky enough to find some gold paper in my stash. I believe it was from Papertrey. Summer weather is here and it's been nice to spend so much time outside. Seems the only time I hit the craft room these days are when it rains. Today it's supposed to do just that. I have quite a bit to do once I get in there too. 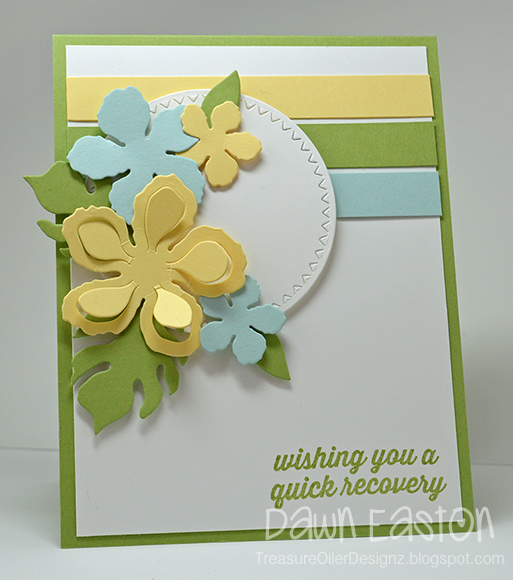 Here is a mish mash of cards I've created the past couple of weeks. Details on each card listed below. This is from today's Splitcoast sketch #646. This one is from a Colour Throwdown #441 and a Freshly Made Sketch #286. 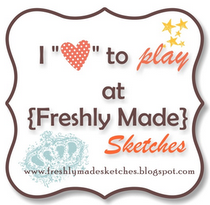 This one is from a Freshly Made Sketch #287. This one is from last week's Splitcoast Sketch #645. 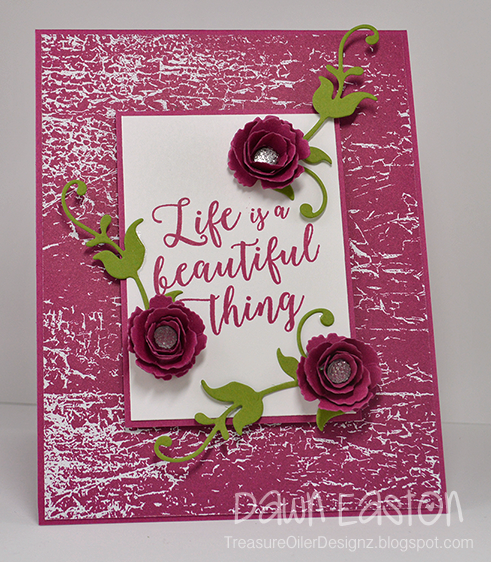 This one is from a Freshly Made Sketch #288 as well as the Paper Players Colour Challenge #344 as well as the SC Ways To Use It #636(metal and hardware). Half way through the week and I have the day off! What could be better!?! 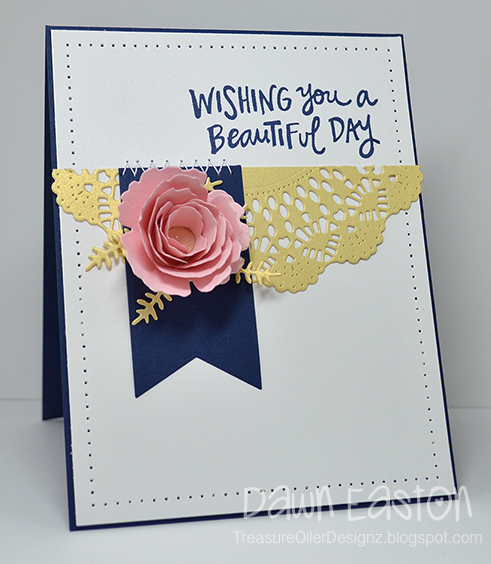 Today I'm sharing my samples for the last two SCS sketches. 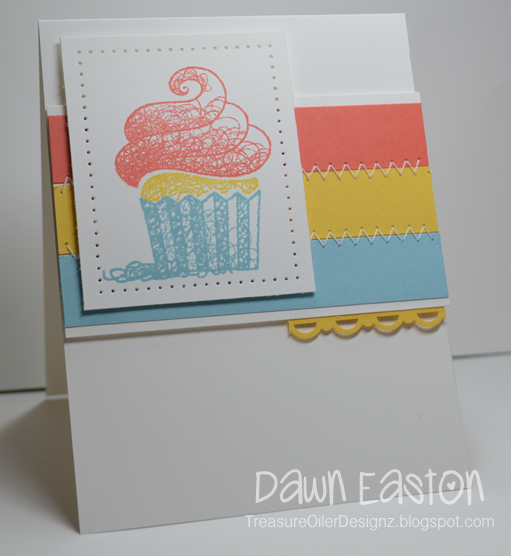 The sketch from today uses a fun Reverse Confetti stamp and die. 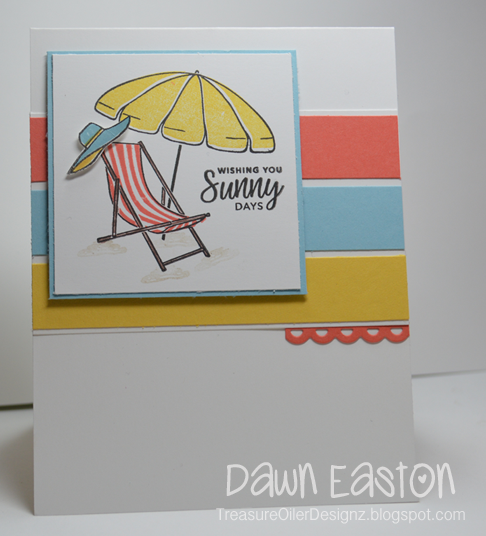 This one is from last week's SC642 where I used the fun SU! set and matching DSP. Have you ever created a card that you just were not sure about. 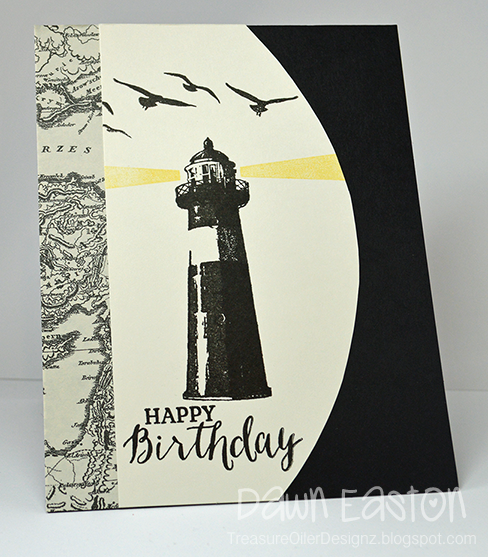 Whether it be the stamps, the layout or the overall look of the card? That's me on this card. 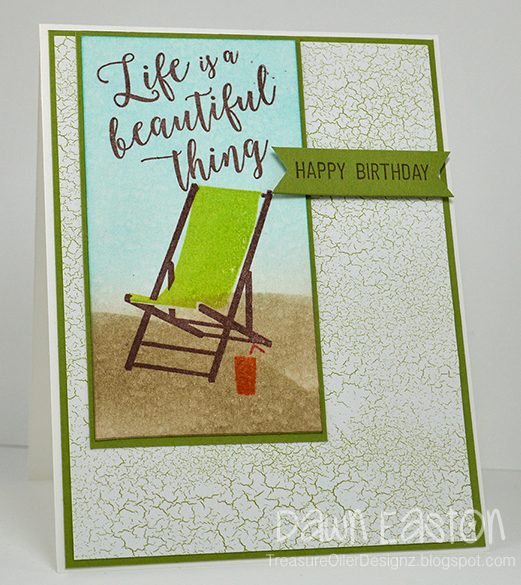 It was one of my samples for last week's sketch on SCS. 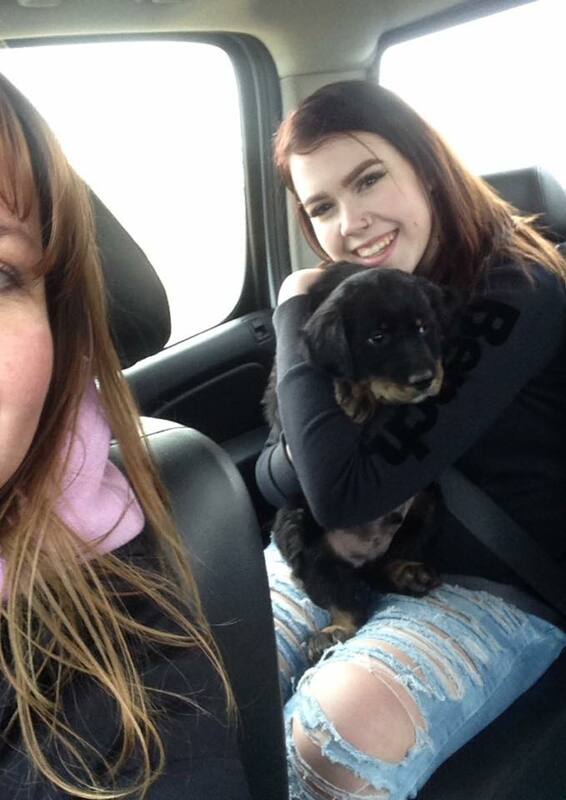 Although I had a lot of comments and was favourited several times I just wasn't feeling it. I love colour and that might be the issues. Moving onto this card. My second sample for the same sketch. 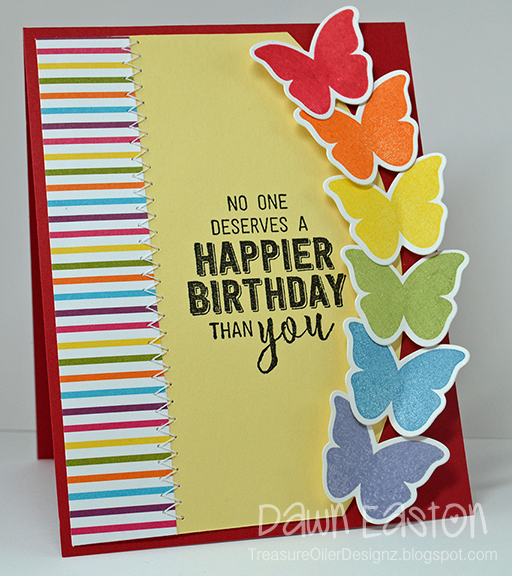 I love love love colour and anything rainbow! This card makes me happy. 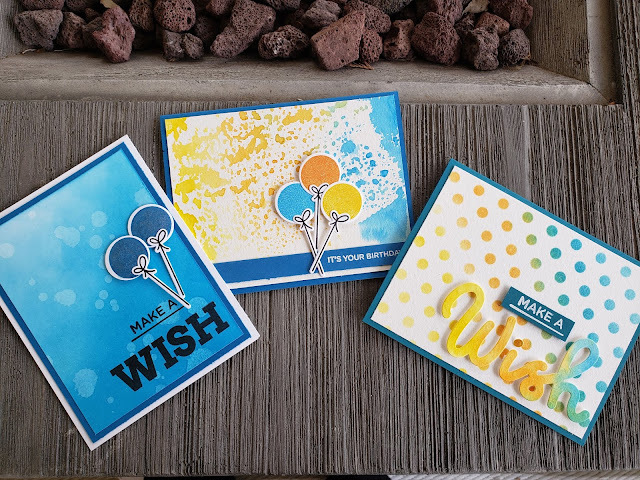 I've got a couple of cards to share today that I created last week for some challenges. This first one was the SCS #640 sketch. 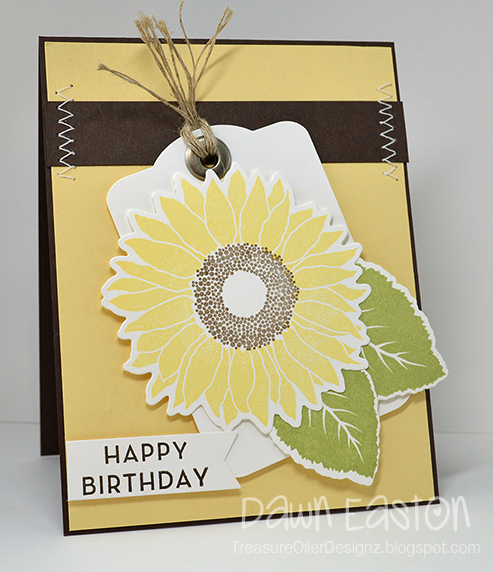 I found this Splendid Sunflower stamp and die from MFT in a tote on my craft room floor. No idea how it ended up there but I was pleasantly surprised to find it! 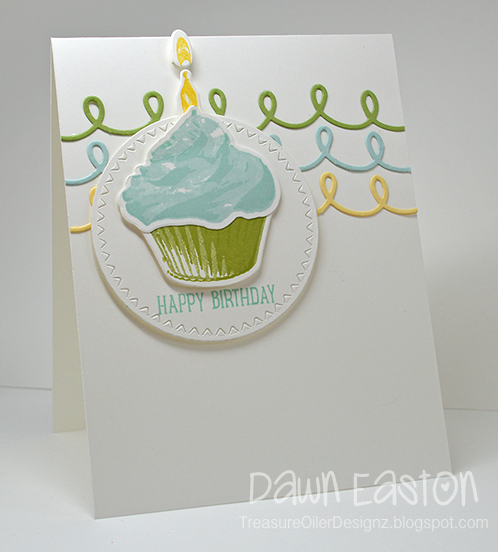 This next card was created for the Freshly Made Sketch #283 and the Colour Throwdown #438. 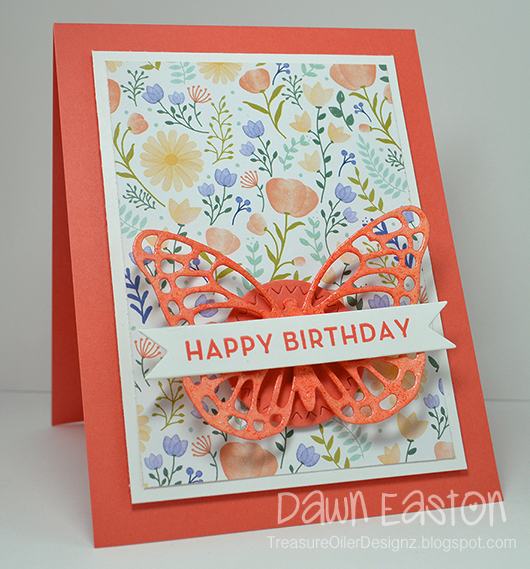 I believe this stamp was a free one from PTI years ago called Botanical Blooms. I always look forward to having a weekend off and only wish the local Farmer's Market was open already. Soon. 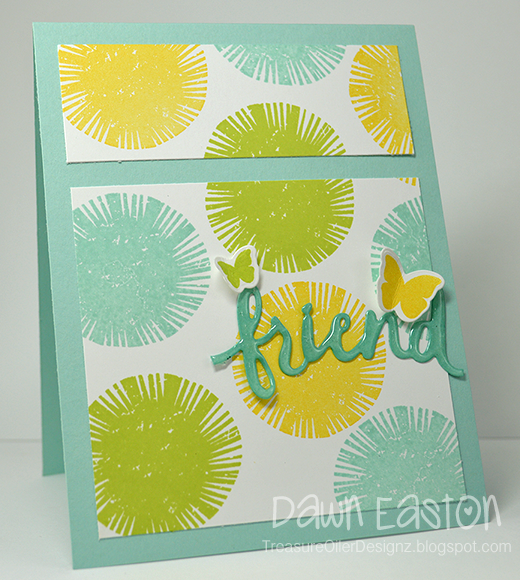 Since I've had a little extra time lately I've found myself downstairs doing a little more stamping. Always fun! Here are a few cards I created. Info will be listed below as always. 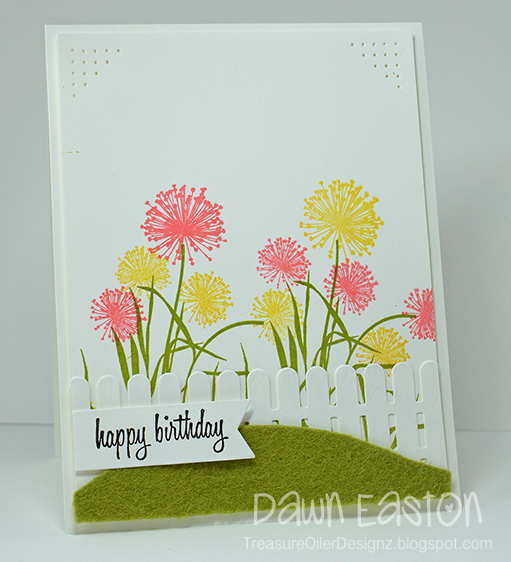 The first card was created for this week's SCS sketch. 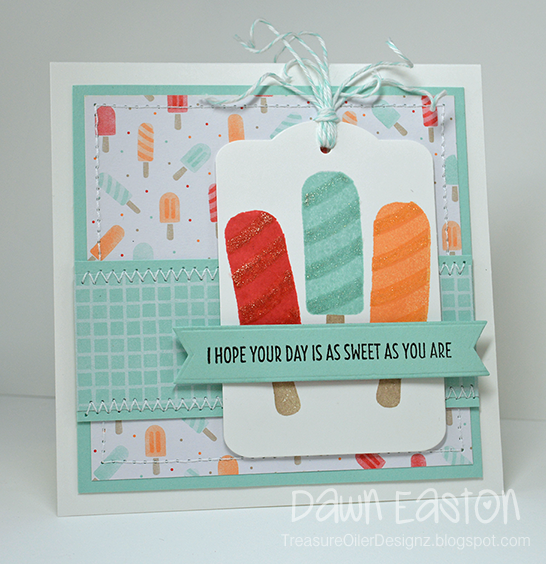 This next two used the Freshly Made Sketch 281and also the Colour Throwdown 436 from last week. ahhhh it feels good to be on vacation this week. Luckily puppies sleep a LOT and I've been able to craft. 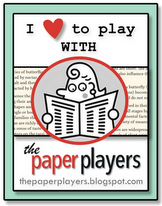 I created this card for the Paper Players Sketch and also the SCS colour challenge. 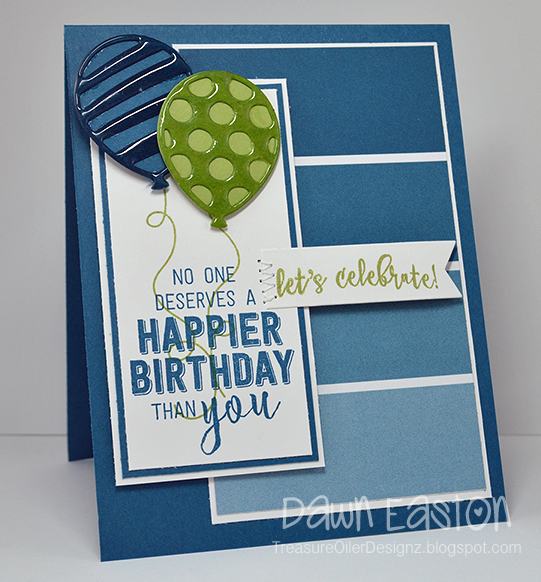 The background was stamped in Versamark and clear embossed using the Happy Birthday sentiment. A quick colour was of Rich Razzleberry and Pumpkin Pie was done on some watercolour paper and then I die cut using the dragonflies. 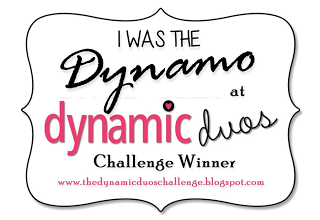 This one was created for the SCS sketch this week. 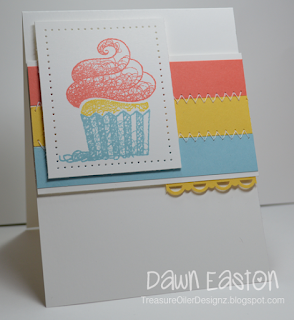 I'm in love with the cupcake image. So yummy! Bloggers Who Inspire Me To Create Daily!